USB connection, support hot plug and play. Easy to read and write in high speed, no need drive/power supply, only plug in. Cute design, portable and practical. 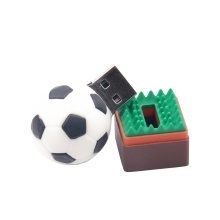 Powerful data storage capabilities, compatible with USB 2.0. Speeds of up for handling your photos, videos, or other files in a fraction of the time.